Degrees, scholarships, tuition and admission information, including undergraduate audition requirements and dates. If you have questions and can’t find the answers in the online materials, please contact the Undergraduate Admissions Coordinator. 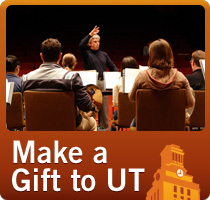 Degree programs, scholarships, tuition and admissions information, including graduate audition requirements and dates. If you have questions and can’t find the answers in the online materials, please contact the Graduate Admissions Coordinator.